When you’re launching a new creative campaign, consistency is key. Yet with all the different size requirements that different ad platforms and devices demand, creating an HTML5 banner ad that looks consistent everywhere its displayed can be complicated. That’s why we’ve created this free HTML5 banner animation compare tool. Now, you can view different ad concepts and size variations side by side. No more scrolling through different windows trying to see how they all fit together. This tool offers one single screen for you to compare different ad variations in just a few seconds. This free tool is integrated with our AdX platform. It’s the same thing we use to deliver pixel perfect work on every project. 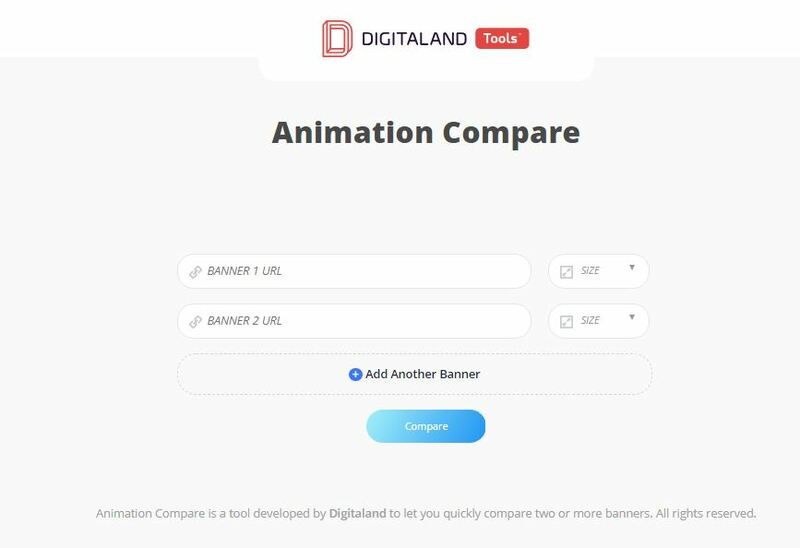 Who Is The Free HTML5 Banner Animation Compare Tool For? We created this tool for professionals in our industry to use so they can easily see how ads stack up against each other. Agencies, developers, and project managers can use the tool at no cost to them, and no log-in or downloads are required. Here are some of the use cases for this tool. Project Managers: Do you want to ensure that the animated banner ads the agency created meet the requirements of your clients or your company? View ads side by side to run a quality check and make sure that each ad looks the way it’s supposed to and has that cohesive feel you’re looking for. Banner Developers: Have you been tasked with creating animated banner ads in a variety of sizes and want to see how each looks next to each other to ensure a consistent branding and aesthetic experience? Paste the links to your creations in our free tool and confirm that the ad came out as you wanted it to. Ad Agencies: Do you regularly outsource the creative of your HTML5 banner ad campaigns and need an easy way to check your freelancer’s work? Want to make it easier than ever for your clients to view the finished product? This tool is a must-have for your ad agency’s arsenal. Are you ready to compare your ad variations? Here’s how our tool works. Step 1: Head to the animation compare tool. Step 2: Paste the URL to the animated banners that you would like to compare. Step 3: Next to each URL, select the size of the ad. If you don’t see your ad size there, you can type in custom dimensions. Step 4: Click compare. On this screen, you’ll see how your ads look side by side. Step 5: Share the link with clients or your internal review team so they can see how it looks. It’s as easy as that. You don’t have to set up an account, download any software, or jump through any other hoops to use this free tool. When you work with a digital production agency, you’ll likely be presented with several different concepts during the development process. Sometimes, the variations are slight and it can be difficult to choose one by going back and forth between windows to see all of the options. That’s where our handy animation comparison tool comes in. Now, you can view all of the different ad concepts side by side on one simple screen. Being able to see them all next to each other makes it much easier to choose the winning ad variation. This is especially crucial when working with many decision makers. If you’ve hired a rich media partner to work on a client’s campaign, both your in-house team and the client will have a say in the final ad that gets used. Now, everyone will be able to share their feedback faster thanks to this simple tool. When working with several different ad sizes and variations, it can be challenging to ensure that there is consistency in branding, colors, fonts, and animation. Since you’ve invested money into your animated banner ad campaign, you want to make sure the campaign performs at an optimal level. But if your ads didn’t come out as planned, you could end up wasting a lot of your marketing dollars. We created this tool because we know how difficult it is to compare several different ad variations without being able to see them side by side. You have to rely on your memory to run a quality check for each ad size. Now, with our free ad comparison tool, seeing different ad variations side by side is a breeze. No more jumping between several windows to compare the tiniest aspect of your ads.